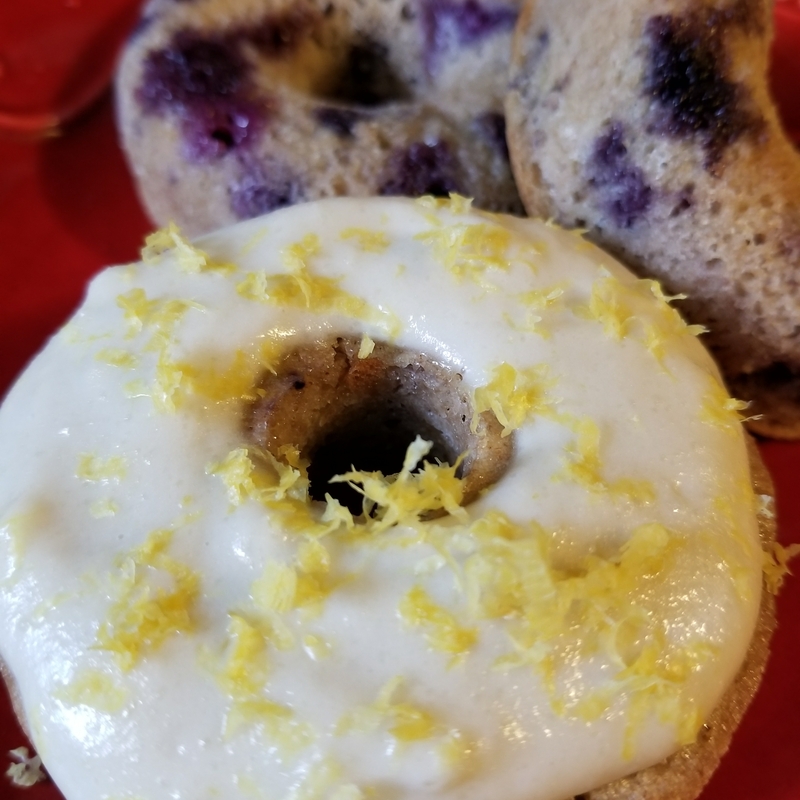 I am having so much fun creating different flavors of these donuts! The possibilities are endless. I want to come up with a Phase 1 donut but I need to find a really good, truly non-stick donut pan. If you have one- link it in the comments, please. Mix milk, egg, vanilla, lemon juice and zest, xylitol and oil together until the xylitol is dissolved. Add salt, xanthan gum, baking powder, and whisk. Add flours and mix well. Stir in blueberries. Batter should be like a thick pancake batter, so add water to get to this, if needed.